Want to learn how to make a paper hat? The kids and I had so much fun making these! 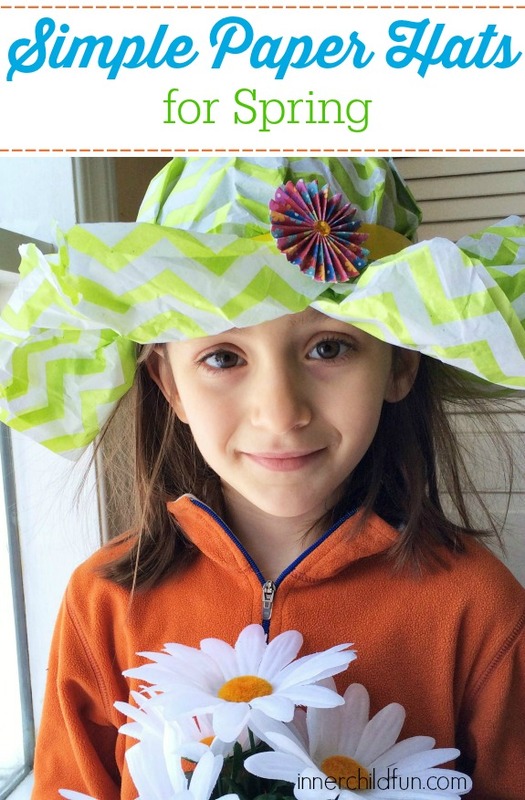 You will not believe how EASY these paper hats are to make, and you probably have everything you need to make a paper hat in your home right now. The best part is, you can make and decorate these paper hats however you would like! They would be perfect for an impromptu teddy bear tea party, don’t you think? To make a paper hat, place two sheets of tissue paper on top of your child’s head. Carefully place the elastic headband around the tissue paper and your child’s head so it sits slightly lower than where you would want the band of a hat to be. Use masking tape to form the band of the hat just above the elastic headband. Remove the elastic headband. Carefully remove the hat, and use scissors to trim the outer edges of the hat into a circle. Roll up the brim of the hat slightly. Use stickers to decorate your hat however you would like! Proudly wear your hat to your next tea party or for other dress up play fun! It looks marvelous, dah-ling!